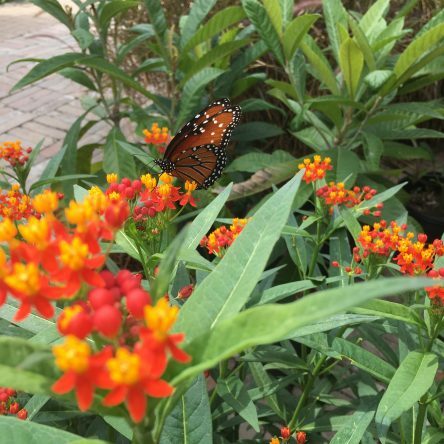 Butterfly weed (or Milkweed) is the main food of monarch butterflies, and was was named the Perennial Plant of the Year in 2017. 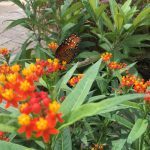 A North American native wildflower, this is a must for butterfly gardens. 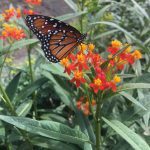 Although thin and spindly early in the year, the Butterfly weed flushes well in starting mid summer and blooms in clumps of yellow and orange. 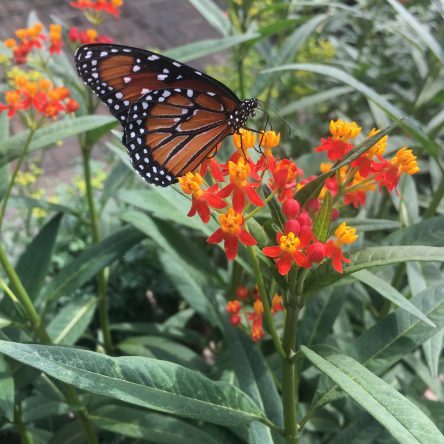 Althought monarchs love them, they are poisonous to humans. Planted in well drained sandy soil mature plants can reach 36″ tall and 24″ wide.